Full disclosure: I work with Jessica Spotswood. I wasn’t coerced into reading her work; it was something that would have interested me anyway. My thoughts here are my own and have no bearing on Jessica as a person, who is lovely. Onward! Having assumed responsibility for her sisters following the death of her mother in the face of a father who doesn’t know his daughters are witches, Cate Cahill has more to worry about than just being found out for her magic. 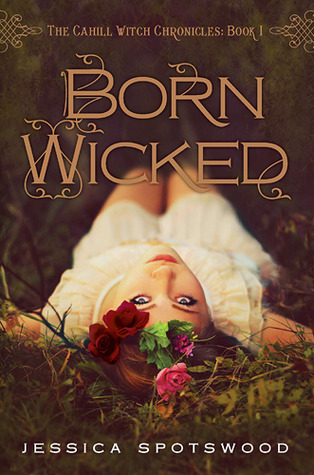 In Born Wicked by Jessica Spotswood, a group known as the Brotherhood has striven to drive witchcraft out of society. Cate and her sisters live in a world that is an alternate history of our own, but with careful world-building and plenty of borrowing from the real-life Salem Witch Trials of the Seventeenth Century, Spotswood achieves a story that feels realistic despite its fantasy and will be a fun read for those who love teen romance stories. With a specific kind of world-building to achieve and loads of exposition to provide, Born Wicked does feel slow at parts. Cate is reluctant to allow a governess into their home in the absence of their father and, while this conflict is one of the central conflicts of the story, its arrival in the narrative is a late one. Meanwhile, the threat of the Brotherhood, while certainly real, does not feel terribly heightened. 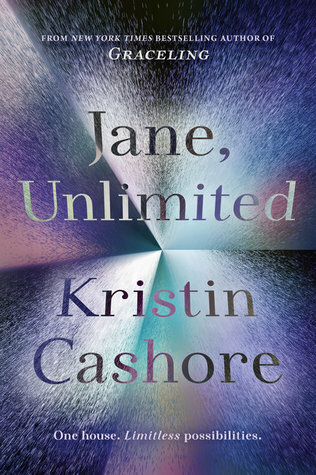 The reality is the Cahill sisters have managed their threat for the duration of their lives, including three years without the protection and guidance of their mother — why is this threat suddenly so much greater? The Brotherhood does scrutinize Cate a little more carefully now that she is nearing their prescribed age of marriage and the uncertain presence of the governess makes the sisters uneasy, but neither of these things seem to quite warrant the panic Cate seems to feel around being found out. Naturally, with a prescribed age of marriage comes potential suitors. Somewhat predictably, Cate finds herself at the center of a love triangle involving an old friend and a young man Cate’s acquainted with but doesn’t know well until he begins working on her land at the direction of Cate’s father. Despite the predictability of the existence of the love triangle itself, Spotswood executes it in such a way so as to make it feel somewhat new. The dynamics of the characters work in a way that freshens the trope in some aspects and does cast doubt as to with whom Cate will end up. Character dynamics are something Spotswood does well in a variety of places. Known for her stories of sisters, Spotswood doesn’t make an exception here. For all its romantic love, witchcraft, and ostracism, Born Wicked is primarily a story about sisterhood. Each sister is uniquely developed and has her own interests. While Cate is the focus of the story, her sisters play interesting and important roles nonetheless and Cate is well aware of it. Other characters, too, have their own personalities and motivations with well-developed and defined characteristics. Cate’s narration style does provide some roadblocks. Employing a vocabulary and sentence structure that attempts to indicate an antiquated world with various inflections and exclamations, the prose often feels put-on. Taking on this kind of stylized speech is a challenge, no doubt, and it didn’t always work in Born Wicked. A book written in speech more typical of modern times, however, might have more easily confused readers, so there might not be a “right” answer here. Born Wicked is a fun read, if slow in parts, for readers who are looking for witchcraft without a dark or spooky element. 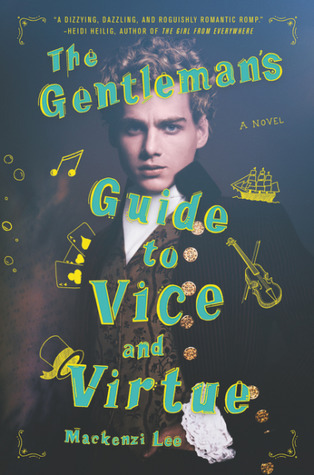 It’s a novel of pastels and lace from the start, so if you’re looking for something a little more lighthearted, if in some ways heavily political (and politically relevant), this is a good place to start. As one of the local greasers, Ponyboy Curtis finds trouble with the privileged Socs often enough. After befriending a soc name Cherry Valance, things come to a head. Cherry’s group isn’t so keen on Ponyboy and the others spending time with her, so they attack Ponyboy and Johnny viciously. 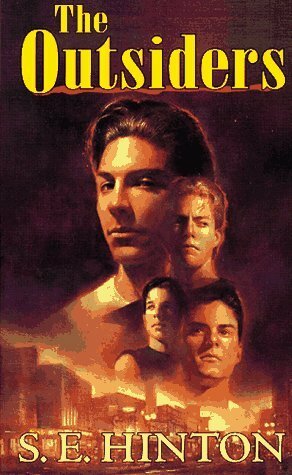 When this event becomes bigger than Ponyboy could have anticipated, everything spins out of control and nothing will ever be the same in S. E. Hinton’s young adult classic The Outsiders. If you didn’t already know, Hinton wrote The Outsiders when she was fifteen. The book was published when she was eighteen. This is especially impressive when evaluating the book critically. Structurally and thematically, The Outsiders is a mature and nuanced look at things like cycles and privilege. The way Hinton ties the ending of the novel to the beginning may seem overused at first glance, but the grace with which she handles the transition is excellent. Even as the final pages started rolling by and I realized what Hinton was going to do structurally, I worried — but there was no need. Despite the trope she uses, it feels entirely fresh thanks to adept handling. Meanwhile, themes of the novel are clear but not heavy-handed. Issues of privilege, albeit with minimal intersection (it’s of its time and so on — there is a Native American slur used and the plights of the characters are, at the end of the day, mostly white-people problems), show up in various ways with nuance and great understanding without making the issues too complicated to grasp. All of this is underscored by Ponyboy’s first-person narration, which is delivered in a well-defined voice. As it turns out, the social commentary Hinton lays down is timeless, too. As some supplementary material points out in the Speak edition I read, the terms “greasers” and “socs” may change over the years, but the fundamental concepts behind the groups and their conflict remain. Part of Ponyboy’s voice is his attention to detail. This sometimes means the plot seems to be moving slowly, but the reality is the plot is simply a more subtle one and not bogged down with side plots. The Outsiders is short, at 192 pages, but a delicious thing to digest with all of Ponyboy’s observations. A few literary allusions, too, help to define Ponyboy as a character and add value to the book as a whole. Though I often find literary allusions to be on the cheap side, Hinton once again surprised me here. I don’t think I believe in perfect books, and there were a few moments of The Outsiders where dialog or phrasing was awkward. The single side plot of Sodapop and his relationship with a girl named Sandy certainly had symbolic significance, but I could have done without so much of it. But The Outsiders has stood strong for fifty years for a reason. It’s a strong example of structure and theme woven well together without being an intimidating piece of capital-L Literature and I’m not surprised it’s been used in schools for years. When her powers finally arrive in Zoraida Córdova’s Labyrinth Lost, Alex couldn’t be more upset. It seems magic has only caused her family trouble since her aunt’s death and her father’s disappearance. After a boy, Nova, tells her there might be a way to reject her new bruja magic, Alex is on board. All she has to do is refuse her family’s blessing during her Deathday celebration. But as it turns out, there are consequences bigger than she’s willing to pay to live a life without magic, and it sends her on a journey in another realm where she’ll be tested at every turn. Labyrinth Lost starts off strong. Córdova’s weaving of magic into the real-life setting of Brooklyn, NY is a spectacular thing to behold. Though the bruja and brujo community may be small, its family-like structure is reminiscent of ethnic communities around the country with a strong root in tradition. This world-building brings readers right into Alex’s life and allows them to buy right into her story despite the fantastical elements. Once Alex and Nova cross into another realm, Córdova seems to stagger somewhat. Each layer of the new universe represents new challenges for Alex and Nova, much like the seven circles of hell. But each new location is underdeveloped and never comes well together as a whole, leaving the new world feeling un-built. Chapters following Alex and Nova’s descent into the magical realm frequently feel more like getting through a list of locations rather than experiencing a connected narrative. Córdova begins strong with an explanation of the magical universe she’s created, too, but this soon falters when the magical realm becomes Alex’s new reality. Rituals and other features of Alex’s magic are dropped away once she leaves Earth, leaving readers wondering about the particulars of bruja magic and, by some extension, Alex, her family, and her culture. 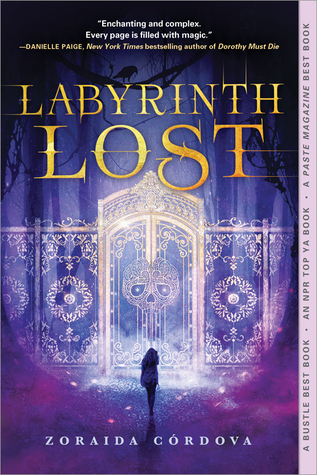 Labyrinth Lost is missing out on layers again and again: in world building, plot, relationships, and characters. Each of these somewhat flat, it’s difficult to invest in Alex and her story even when the stakes of losing her family permanently are so high. Sections of prose in Labyrinth Lost are great examples of solid, atmospheric writing. Often, Córdova writes with vivid and visceral language that helps to describe the scene, even if the events of a moment are foggy — which they often are. Other times, the writing is clunky and doesn’t suit the larger, more general feel of the novel. Labyrinth Lost feels paradoxical a lot of the time. Though Córdova begins with a great deal of confidence, by the end the novel she is more shaken — not just due to the hazy events that never felt especially clear, but also due to inconsistent writing and a lack of support for the big ideas of the book. Though Alex is one-of-a-kind as far as I’m concerned when it comes to young adult heroines, there were pieces of her that felt essentially missing. A reveal regarding her good friend, for example, seemed to come out of nowhere and jolt the book in a way that didn’t serve it well. This information felt far more throwaway than it deserved to be, and left me with more questions than I had answers. With all the Labyrinth Lost hype, I’m not sure I was as impressed as I expected to be. It’s an important piece in terms of diversity for young adult fantasy literature, but left lots to be desired. After he is wrongly convicted of shoe theft in Louis Sachar’s Holes, Stanley Yelnats is sent to a correctional facility known as Camp Green Lake. At the institution, he, along with dozens of other boys his age, are forced to dig precise holes throughout the barren desert. Meanwhile, something from Camp Green Lake’s past is tickling the current inhabitants and influencing their lives in ways they could never begin to believe. As Stanely builds relationships with the other boys in the camp and begins to learn about the kinds of cruelty adults can bestow, a clever and quiet plot unfolds in fabulous reveals from chapter to chapter. Despite being a fairly simple novel in many ways, Holes is quietly powerful with not only an incredibly-planned plot, but also with an unusual level of social commentary woven in through example rather than heavy-handedness. One of the most striking examples of this social commentary is Stanley’s conviction. Sachar makes it clear that had Stanley’s family had more money and more able to afford a competent legal team to represent him, he would not have been unjustifiably sent to Camp Green Lake. Stanley learns even more about social justice issues as he enters the camp, where he interacts with boys of color and begins to understand some of the implications of their lives. One awkward step away from this pattern is a description from the narrator, in which boys who are digging holes are described as being racially ambiguous due to the dirt on their faces. With two plot lines running alongside each other, separate in history but together in consequence, Sachar handles most of the overlapping well. Though this concept could easily be difficult for younger readers to follow, Sachar’s attention to detail, refusal to overwhelm, and commitment to clear connections makes the structure completely accessible for its target audience. A few places marked as chapter breaks can feel jarring, but the overall effect is worth it and it is this feature that makes Holes so unforgettable. Of course, how the two primary plots came together did not seem quite so impressive for me this time. I’ve both read the book and seen the film Holes. I recall my first reading being entrancing, so I have hope that my original experience holds up today. But knowing exactly how Stanely’s situation would be impacted by Kissin’ Kate Barlow did take some of the magic away from the book. Sachar’s narrator speaks in a familiar and conversational style that feels entirely natural and fun. Holes has just about everything you could want in terms of literary value. It’s well-planned, engaging, imaginative, unique, and quite a ride. If you haven’t gotten to Holes yet, take a weekend ad get to it — you’ll thank yourself. Are You There God? 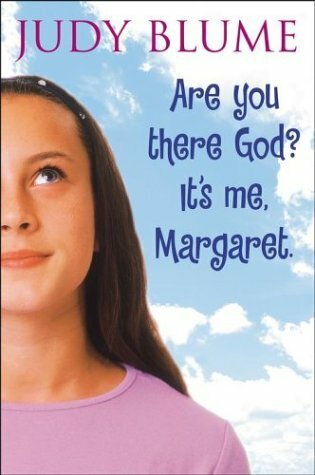 It’s Me, Margaret by Judy Blume encounters Margaret, a young girl who has moved with her parents from New York City to the suburbs and is beginning to question what it is to be religious and what it is to be a woman. With crossover between her personal religious life and her new social circle, Margaret finds tension in her parents’ relationships with their own parents as well as neighborhood friends and their older brothers. Blume asks important questions about what religion means to the unindoctrinated religious explorers and what it means to be a young girl growing up in America. Prior to Are You There God? It’s Me, Margaret, I had never picked up a Judy Blume novel. Where I admittedly expected some level of innocence and naivete (this was published in 1970! Certainly those were simpler times. No? Well, another discussion for another day), I found a great deal of honesty and challenging topics wrapped up in a beautifully simple narrative and prose. Without a complicated plot, Margaret is left to ponder the wonders of the world and the universe, leaving plenty of questions unanswered for young readers to think on themselves. Despite the natural complexity of religion and puberty (and what a combination! ), Blume makes both simple and accessible for her young target audience. Similarly realistic, if perhaps slightly underdeveloped, is Margaret’s secret crush. These new feelings that develop within her are scary in some ways, so they’re largely ignored until they can’t be. Even when the crush cannot be ignored, Margaret tiptoes around it, creating a delicious sort of tension that will entice readers to read on. Meanwhile, though the book is written for older children and younger teens, Are You There God? It’s Me, Margaret can easily be enjoyed by adults. Plenty of the subtleties of Margaret’s life (to which she does not catch on) are fascinating to watch play out in various ways. Where adults will be savvy about the implications and consequences of various events, Margaret is often oblivious beyond some surface information. This is not Margaret being stupid, either, but it highlights a compelling piece of childhood that we often forget. That said, there were moments and a general feeling of lack of development — while the book remains completely accessible, its deeper symbolism and meaning are really not so deep at all, which might leave something to be desired for readers who prefer to do a little more thoughtful work. Are You There God? It’s Me, Margaret only takes a couple of hours to read and is a fun experience. Glittering scenes with her grandmother make for a unique piece to an already-important story. Whether you’re religious or not, this novel provides a nice look at what it can mean for some and where sometimes, meaning falls short. After seventeen years without her mother, Ivy is beginning really to feel the pressure of her foremothers’ legacies. For generations, the Milbourn women have left behind amazing works of art in one form or another only to die young in Jessica Spotswood’s Wild Swans. On the coast of Virginia, Ivy struggles with her grandfather’s encouragement to build her writing portfolio while finding new companionship in his favorite student (Connor) and fighting against the assumed romantic entitlement of the boy with whom she grew up (Alex). Meanwhile, her mother returns with her two half-sisters, only her sisters don’t know exactly who she is. Wild Swans is quietly and realistically feminist, with plenty to consider in terms of fate, self-determination, and taking charge. Though Ivy is not a strictly active character, her power appears in other ways and her thoughtfulness adds to her as a person and to her narrative. Much of Ivy’s development comes through her introspection. She’s incredibly mature and self-aware, which leads directly from her upbringing and grandfather’s role in her life. Spotswood’s characterization of each person is touched with a heavy dose of realism: many characters are paradoxical in their actions and speech, all characters are nuanced, and their interactions with and influences on each other clearly have an impact as relationships do in real life. Connor is, in some ways, slightly cliched. He occasionally falls into the poet-boy trope, with tattoos and a coolness that many of the other characters find slightly off-putting. But in many other ways, he’s refreshing and real: Spotswood carefully handles Connor as a complete foil to Alex, which helps to reinforce the feminist message of not oweing a sexual or romantic relationship to anyone, regardless of how long a couple of people have been friends. Spotswood’s story is wrapped up in excellent prose, too. 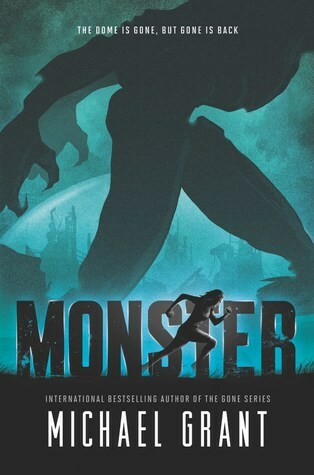 Despite having a rather quiet plot, the book moves quickly with language that isn’t overly long but still exact. Ivy, as a narrator, is able to communicate quite a bit of context without going overboard. She’s concise and uses fairly simple language, but the quality and clarity of the plot, setting, situation, and beyond are not sacrificed for it. The quiet plot, however, also ends quietly. By the end of Ivy’s story, little seems to have truly changed. A few more beats might have tied things up in a more satisfying way, but this might have cost the novel its deep sense of realism, which in some ways feels more valuable. If you’re looking for something that’s steady and fleshy but not overwhelmingly heavy or dark (though there’s darkness in Wild Swans, to be sure), Wild Swans could be a great next pick for you. It’s a quick read that delivers on balanced emotion and subtlety, well worth the couple of days you’ll spend with it. Whether you’re in on a rainy evening or enjoying the sun’s rays on the beach, give Wild Swans a shot — you just might find something in yourself that will surprise you.